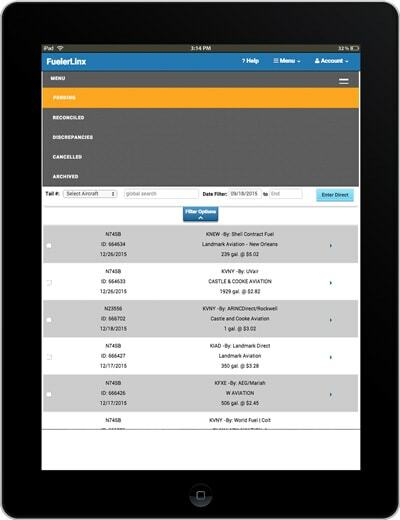 All of your fuel transactions are archived in your digital expense log, giving you access to your fuel records anytime, from any place. 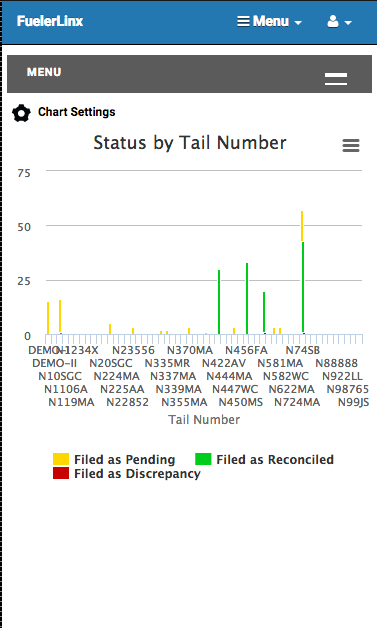 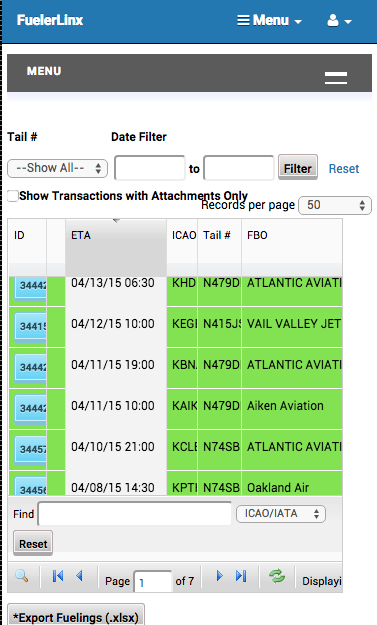 You can even cancel fuel requests, sort transactions, and export your records for deeper analysis. 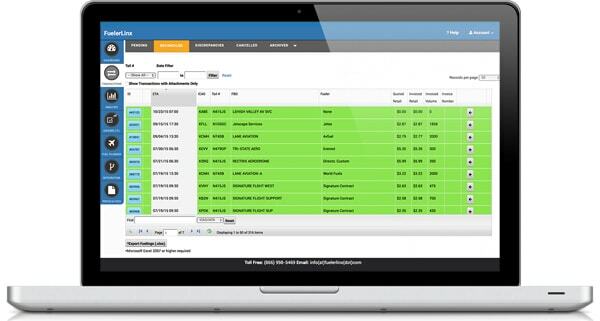 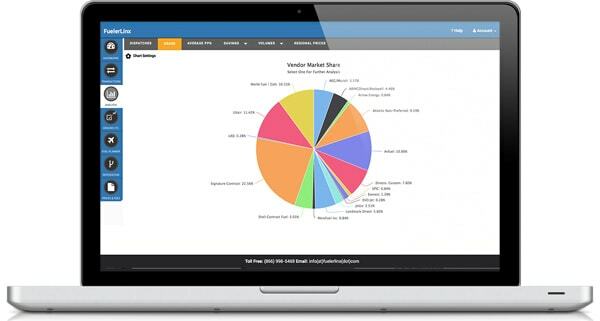 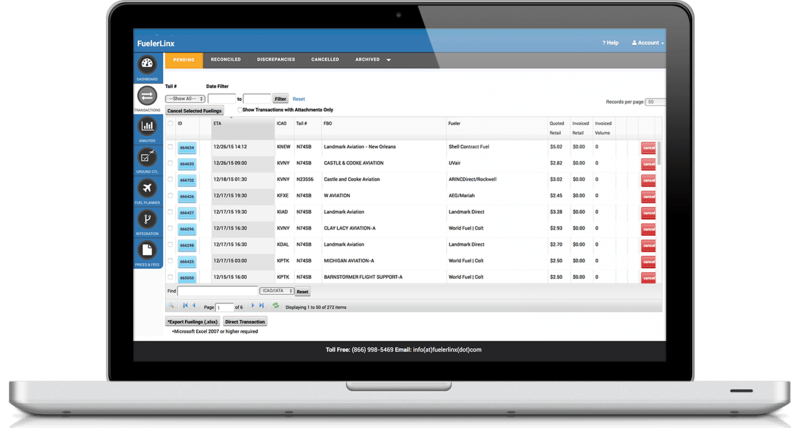 FuelerLinx Automated Reports make it easy to track your fuel spend and discover ways to improve. 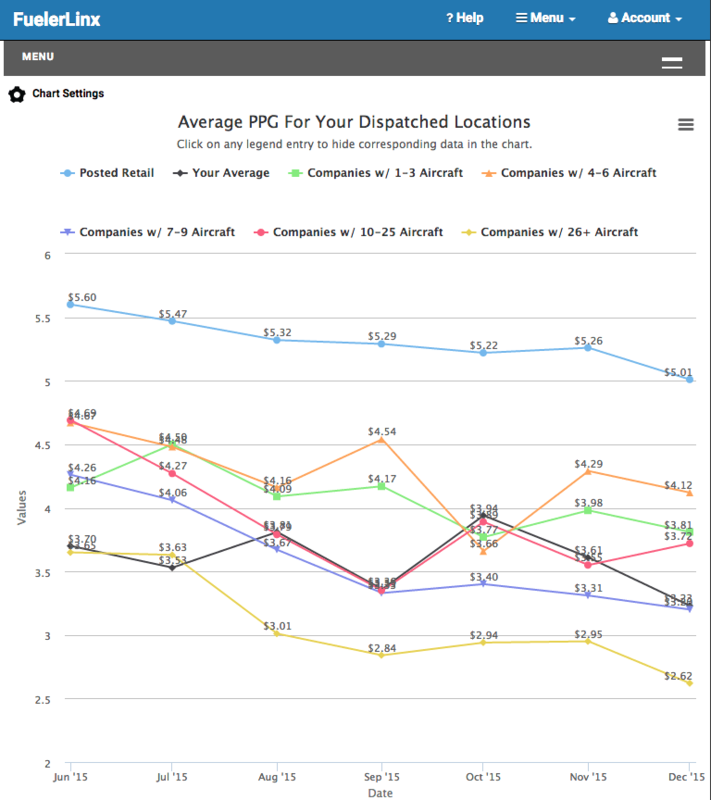 Generate average PPG, savings, fuel volumes, regional price averages, and more. 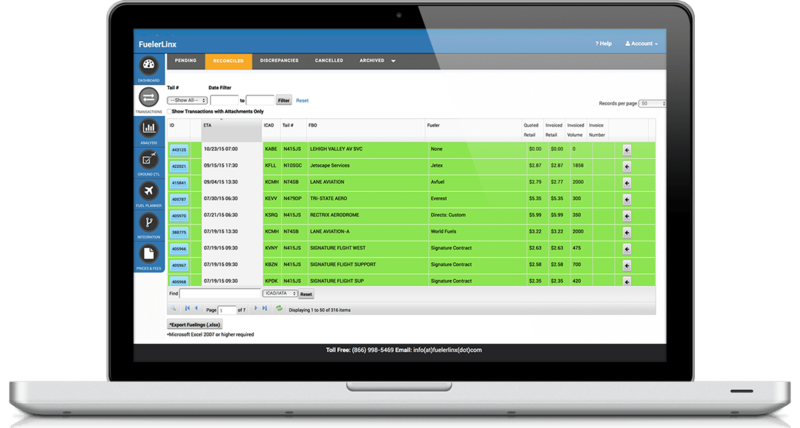 Customized report settings allow for even more control over the data you need. 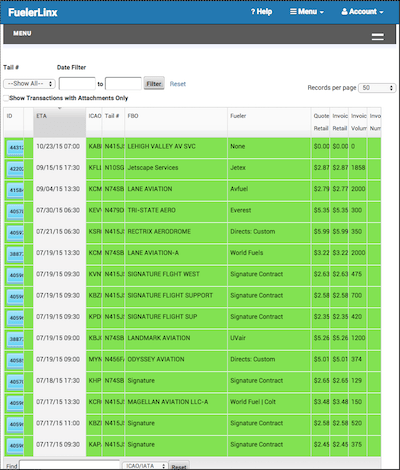 FuelerLinx Verifies Each Invoice Against the Original Fuel Quote. 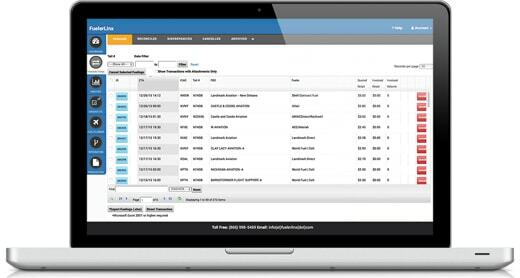 If invoices do not match your quoted fuel price, the system will notify you of any discrepancies. 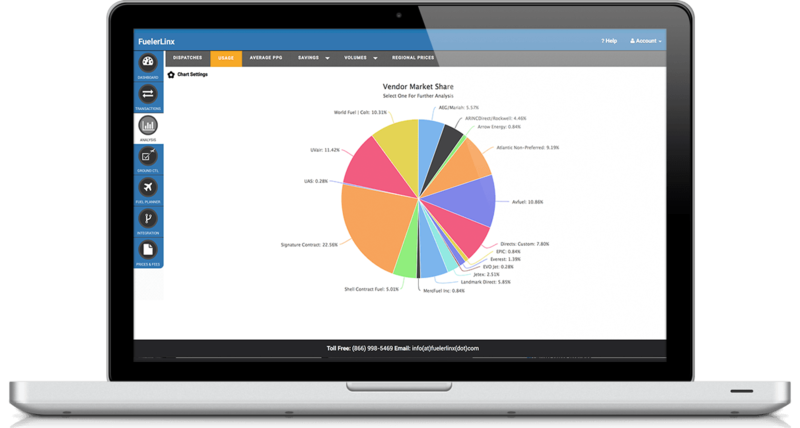 Are you paying more than the market average based on your fleet size? 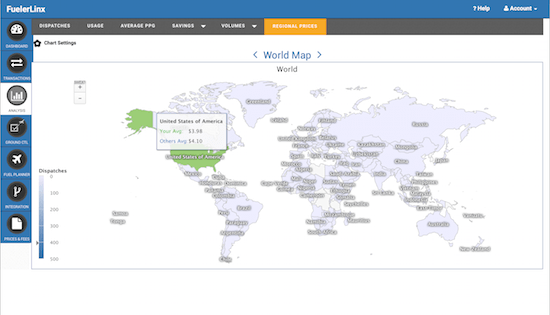 It's easy to figure out with FuelerLinx Market Analysis Reports. 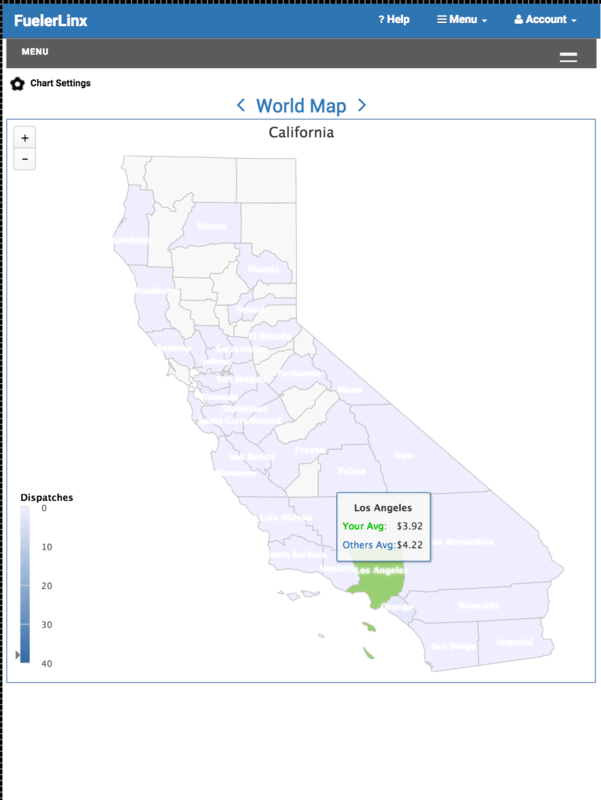 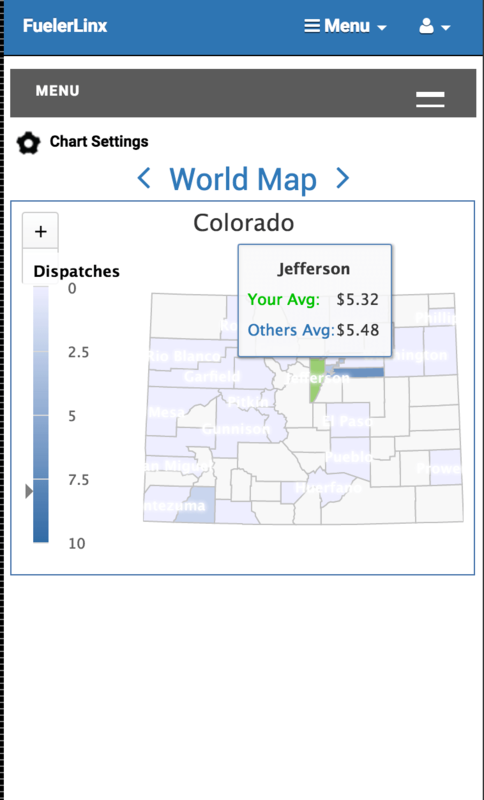 FuelerLinx automatically tracks regional pricing averages and compares your fuel costs with others in your fleet size.